Scrap metal has a surprising number of purposes and advantages. If you’re a hobbyist, artist, photographer, interior decorator or DIY enthusiastic, checking out your local scrap yard can yield incredible treasures at a fraction of the price of buying new. We work with both individuals and commercial contractors to have a consistent variety of scrap metal products in different finishes, colors, materials and textures. We are mid-Missouri’s best resource for hobbyists and creators in need of used and recycled metal. In the course of business we come across a lot of used metal that people are looking to part with. At our salvage yard, you can find steel, aluminum, copper, brass, stainless, lead and more that would be useful to people working on various projects and hobbies. 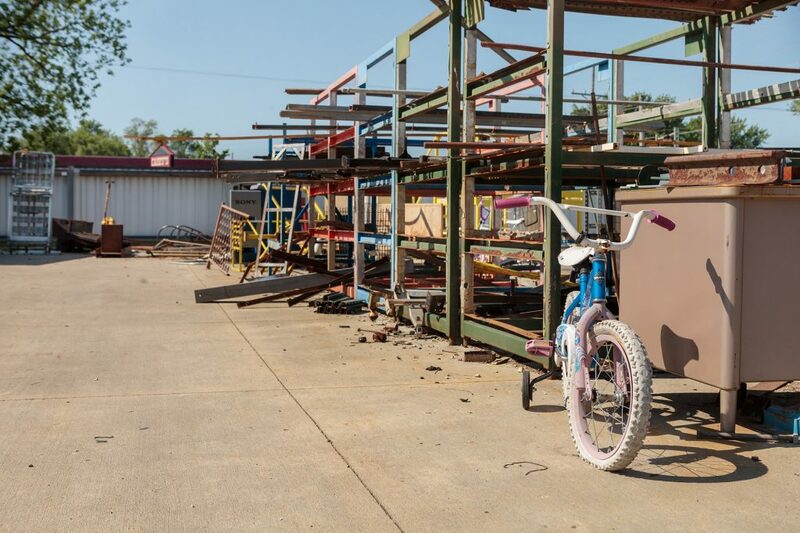 Our salvage yard has a rack area next to the main office that has a lot of sought-after recycled metal items. We are usually stocked with pipe, angle, channel, square tubing and plate. If you’re looking for larger plates, pipes or beams, check out our railroad location a few blocks away. Other popular items at our salvage yard include casters, barrels for burning trash and brush, and hydraulic cylinders. We also sometimes have semi-trailer landing gear on hand. Inside our buildings you will find copper wire and tubing, structural aluminum, stainless, soft lead and wheel weights, or anything else that catches your eye and might be useful. There are many more items that come and go during the course of a year. Feel free to come by during business hours and look through our rack area to see if there is anything you can use. Purchasing recycled scrap metal is beneficial for a lot of reasons. Purchasing recycled metal is more environmentally friendly than buying new metal both from the perspective of using already existing items and because it doesn’t need to be transported a great distance. You can also find a wider variety of items that have their own personality and unique characteristics. When you purchase a new metal item, it’s likely to have many thousand copies being sold throughout the country. With this in mind, scrap metal is especially great for artists or creators. Additionally, purchasing recycled metal is often cheaper than buying new. You can save a lot of money on your projects by purchasing used metal in place of new metal. Lastly, you’re supporting a small business in mid-Missouri. Come on by our Moberly salvage yard to see what metal items we currently have on hand.